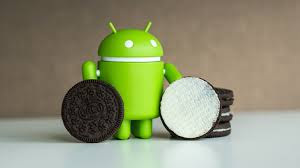 Google recently announced its latest version of desert named OS update – Android 8.0 Oreo and many are thinking , how soon will I get this update ? Android updates usually go through a long process where the phone manufacturer and network carrier will test every new version before releasing it to the customer. However, there is a way you can get the Android 8.0 onto your phones right now. This will not be the final version however – it will be the beta version and you will also need a phone that is compatible with Android 8.0. Once the final version is ready , the first phones to get this Over-The-Air(OTA) update will be the Google Nexus 6P, Nexus 5X, Pixel and the Pixel XL along with the Pixel C tablet. These phones also have access to the beta as well. Follow the below steps to get the beta version onto your device right now. Step 1: The first thing that you’ll need to do, is enroll with Google’s Android Beta program. Step 2: Once registered, you’ll need to check if your device supports Android 8.0 by hitting “Enroll Device” under a compatible handset. Step 3: Once enrolled, you will need to accept the terms and conditions. Step 4: Once that is done, Google will push the update to your device. You should get the update pretty soon but in case this is your first time registering with the Android Beta program, it might take up to 24 hours for Google to push the update to your device. Once you get the notification, all you need to do is download and install the update to get Android 8.0 Oreo working on your device. Be warned though, that this is a beta version which means it might have bugs and other issues. We recommend backing up all your data before installing Android 8.0. To leave the program, visit the same page and click Unenroll Device. You will receive another OTA update that will wipe all user data and revert the device back to the latest official version of Android.